A friend of mine called Ricky Knight came round a few days back with some old photos of his father- in-laws house with a van parked outside which his father-in- law had signwritten. 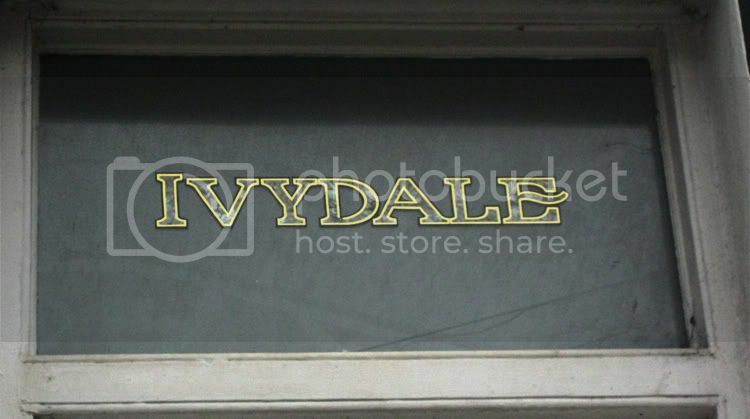 Above the door of the house is written Ivydale, reverse gilded with a painted black outline and mother of pearl crushed inlay.The lettering which is all hand painted is still looking as new to this day. 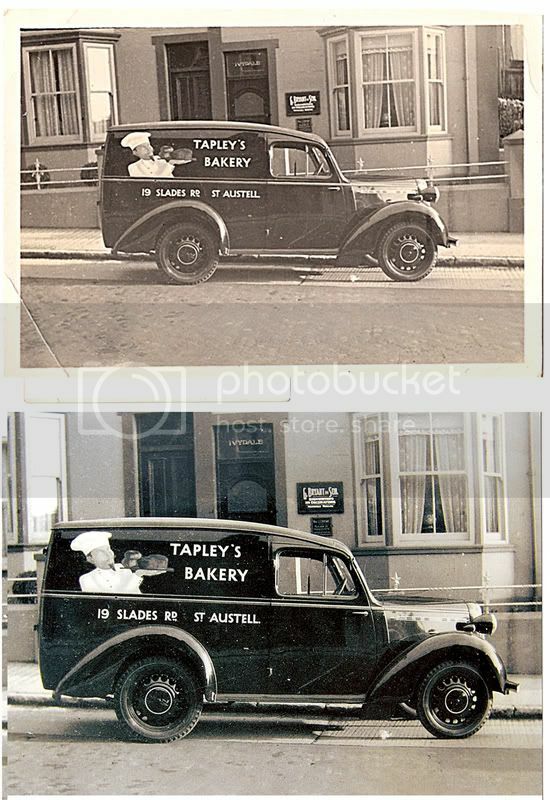 I remember back in 1984 when I first started my signwriting apprenticeship the older signartists at my workplace were occasionally talking about Mr Bryant a signwriter in forest rd Torquay who once decorated and gilded elaborate windows and signs around this area of Torquay. 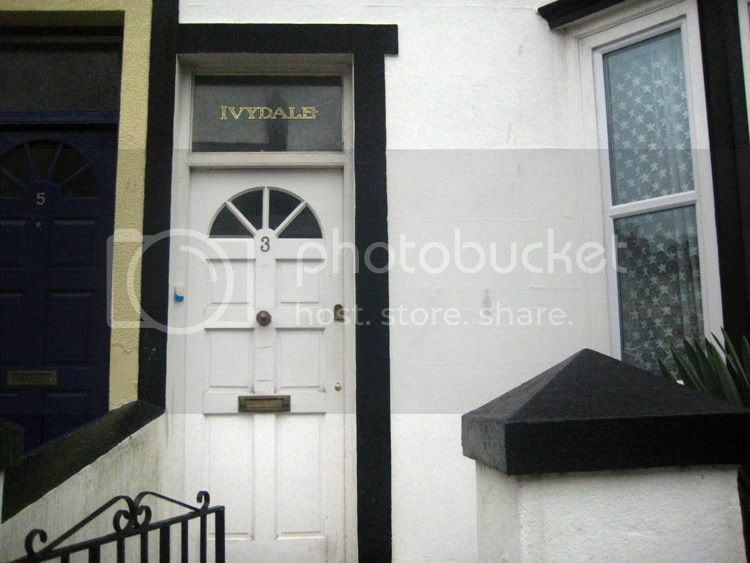 Mr Bryant painted his business name on the gable end of his house which read Bryant Signs 'Men of Letters' I recall seeing a photo of this once it was very decorative. This house is about 10 minutes from me so I went to see if any of the lettering from 70 years ago was still there and it was . Further down the same street was another gilded window still in prestine condition with the name Homeville . 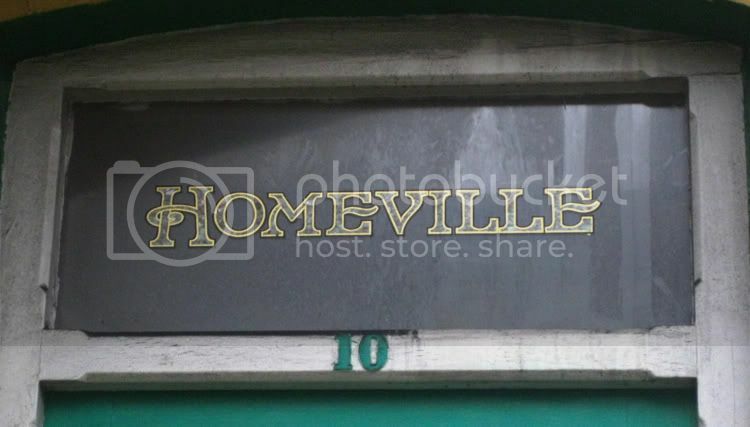 Check out the letter H cross bar on the Homeville text. The first pic is of Mr Bryants house in around 1930,s the others are what I took today. I can't make out the wording on the bottom panel -will try and get a hold of a magnifying glass or try something in Photoshop? This original photo says G Bryant and Son. 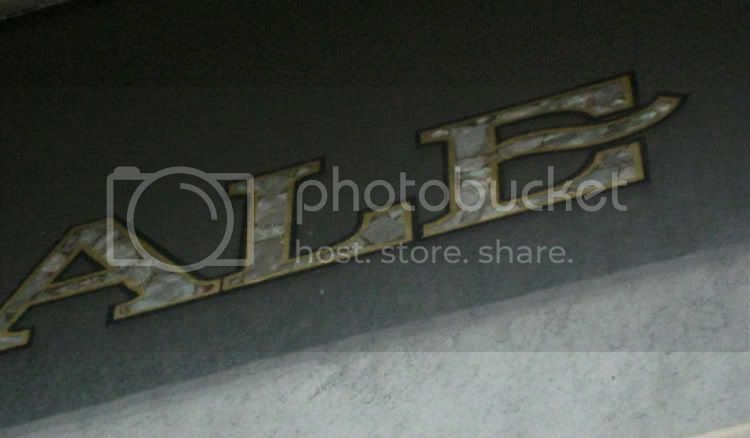 signwriters and decorators. He also did alot of wood graining on doors and panels so his daughter was telling me. I hope to put a story together and pics about him sometime in Letterhead Magazine. Ricky said he will try and find more photos of his work. Thats very interesting Dave- Wow what a nice thing to find- Those door glass panels look like they were done yesterday. This post reminds me to "Pin down " a couple of old timers I know, while they are still around. Yes he does have a nice look to his letters Wayne. If you know some old time signartists still around it is well worth having a chat about there careers and what they did in the signtrade. He is about 75 and still working in this town. he signwrites all the posters for different churches around here. The speed and acuracy in his lettering skill is a joy to watch. Those transom pieces are Beautiful!! Thumbmnail...draw it full size, paint/gild/ect. When I was a teenager, back in the late 50s, I used to work for the Men of Letters in my school holidays! Small world!